Central Location for constant monitoring of horses’ well-being. Very good choice for specific needs or senior horses. 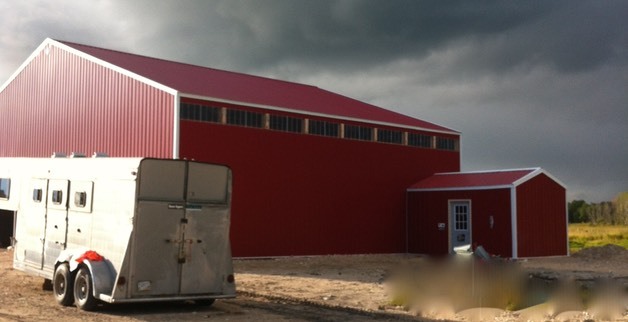 Each pen/paddock/pasture has it’s own run in pole barn shelters and high quality board or electric fencing. No barbwire. We offer custom boarding options to suit most needs. 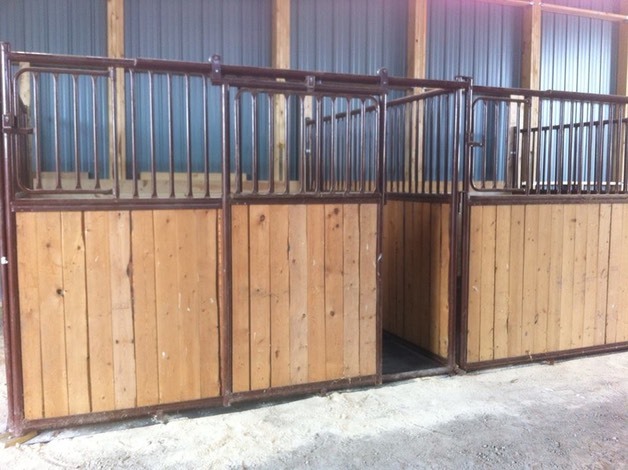 Our boarders are able to use our heated tack room for storage of personal tack attached to our 50 X 60 indoor riding space during not so nice weather conditions. Use of the heated/air-conditioned bunkhouse along with the commercial kitchen, two washrooms with showers and main dining room.